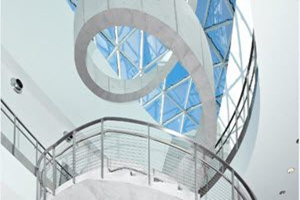 The Dali Museum offers bulk admission tickets for organizations to use as gifts, promotions or rewards. Give them to customers & clients as a thank you or to show appreciation and to employees for special recognition. A savings of up to 25% off regular general admission. Pricing for bulk tickets: Adults: $20, Seniors: $18, and Students w/ID: $13.50. Support from The Dali to promote your program including flyers, signs, etc. *Visitors bypass the general admissions line and check-in at Guest Services where their voucher will be exchanged for an admission ticket. Payment can be in the form of cash, company check or credit card. Tickets will be mailed within 10-days of the order. Order tickets by phone, email, fax or mail using the Bulk Brochure and Prepaid Ticket Form (pdf). Tickets expire one year from the order date and cannot be refunded. Tickets expire one year from date of purchase and are good for daytime admission. All sales are final. No refunds or exchanges will be given for unsold or unused tickets. Bulk tickets cannot be combined with any other offer and are not valid for special events (good for general Museum admission only). Client may not alter tickets in any way. To order or for questions, please contact groups@thedali.org or 727.623.4778.